Shopping for Captain Marvel Purses? 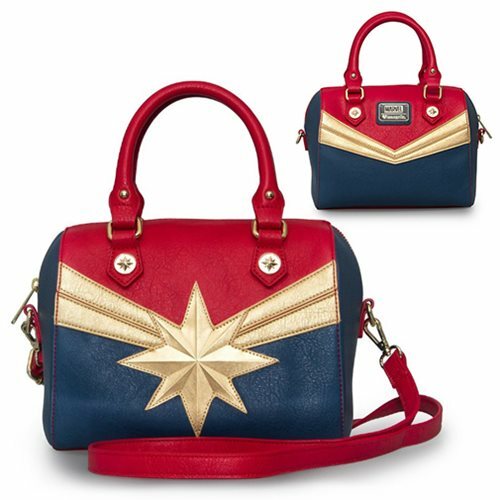 Featuring a Captain Marvel design, faux-leather applique, a removable shoulder strap, an inside zippered compartment, and a handle, this faux-leather Captain Marvel Crossbody Purse measures about 9-inches wide x 7 1/2-inches tall x 6-inches long. It looks terrific!